Avize, Cramant, Ay, Bouzy and Verzenay with Pinot noir grapes for 58% and Chardonnay grapes for 42%. Apperance: Golden color with elegant and fine bubbles. Nose: Hints of white flowers and dried fruits slightly vanilla-flavoured. Taste: very good balance with a long and delicate final. 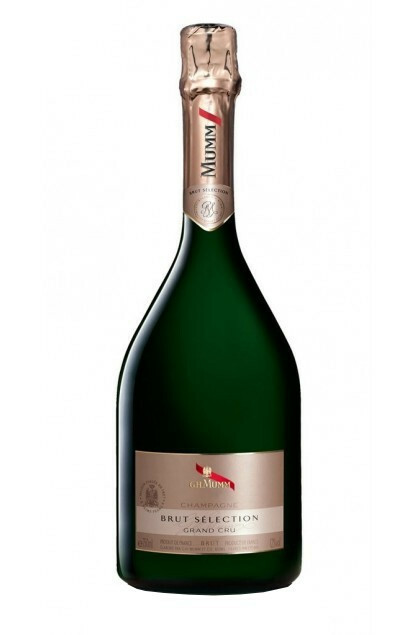 Perfect as an aperitive but also with starters of fish in champagne sauce. To be served between 7 and 9 ° C.